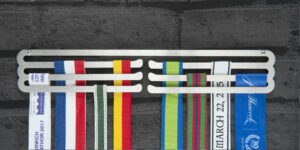 A medal hanger display for the marathon runner: Having run the London Marathon, this unique race is reflected in our small London medal display running across Tower Bridge at mile 12. 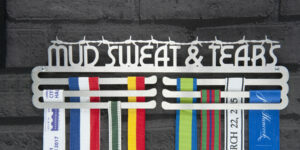 If ever there was a medal display that reflected your marathon achievement, it is this London Marathon medal hanger. 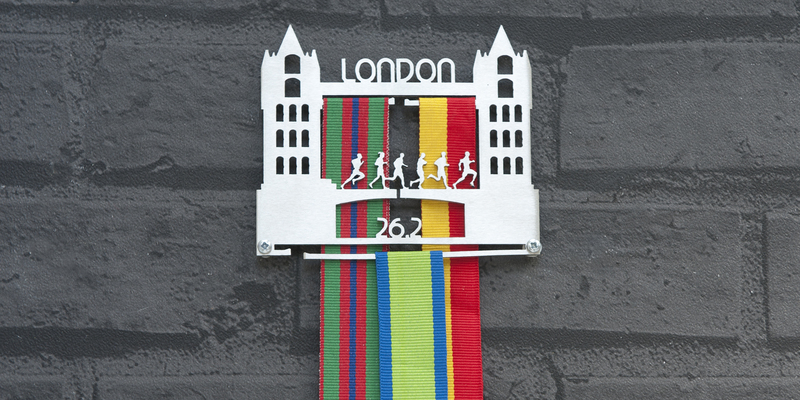 This smaller version of the London Marathon medal display is ideal for the first time London runner or the runner with 2-3 London medals. 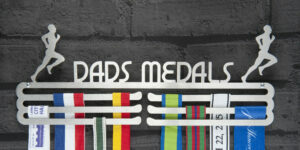 Display your medals on this unique laser cut, 2mm brushed steel display. London is a Runners city, and you have run it. 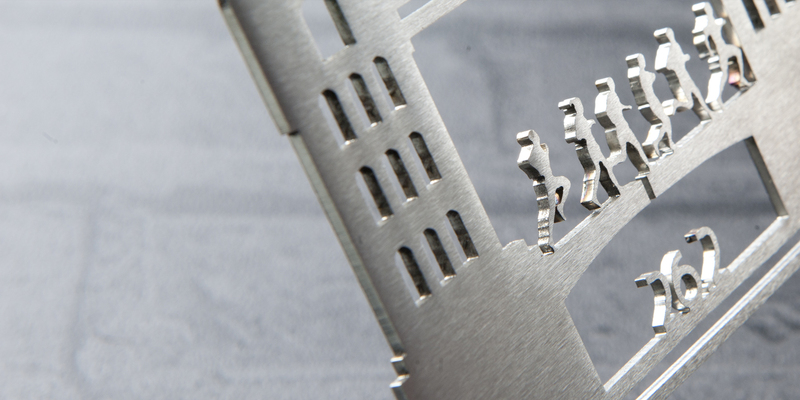 110 x 90 x 2mm. 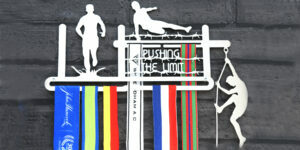 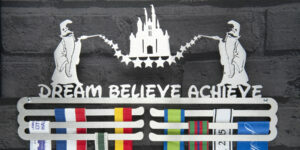 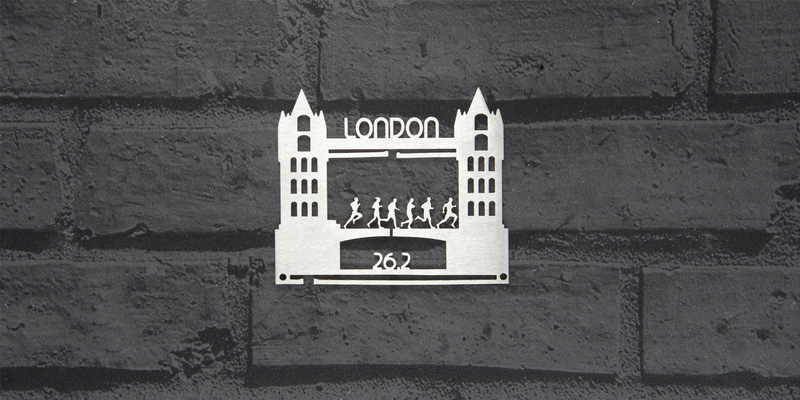 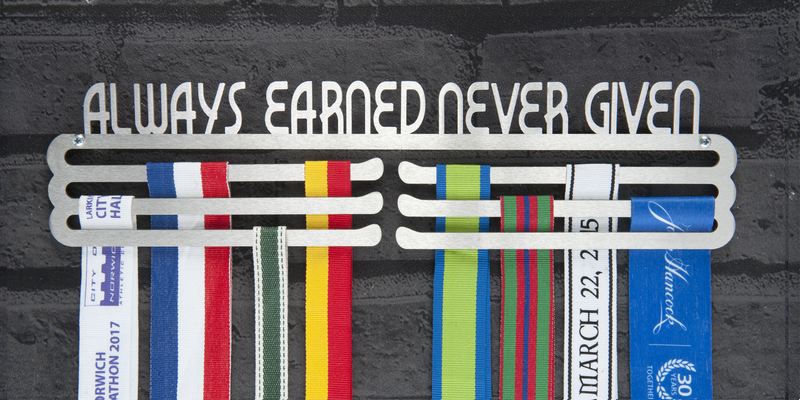 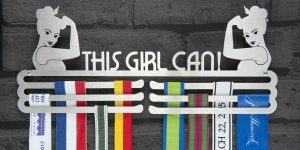 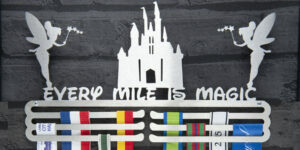 Wonderful medal display gift for the London Marathon Runner.